I know many of you are facing an onslaught of spotted lanternflies. Here you can find information we have provided in e-newsletters and social media. If you find Spotted Lanternflies in a municipality where they are known to exist, you should try to kill them. If you have Ailanthus on your property: please consider reducing the number of Ailanthus trees, then treat remaining “trap trees” with insecticides. This is a longer‐lasting solution than simply spraying insects you see. When there are only a few insects, you can kill spotted lanternflies by swatting or crushing them. For large populations, two kinds of insecticides are widely available that will kill Spotted Lanternfly adults. Contact insecticides kill spotted lanternflies when the chemical contacts the insect directly. 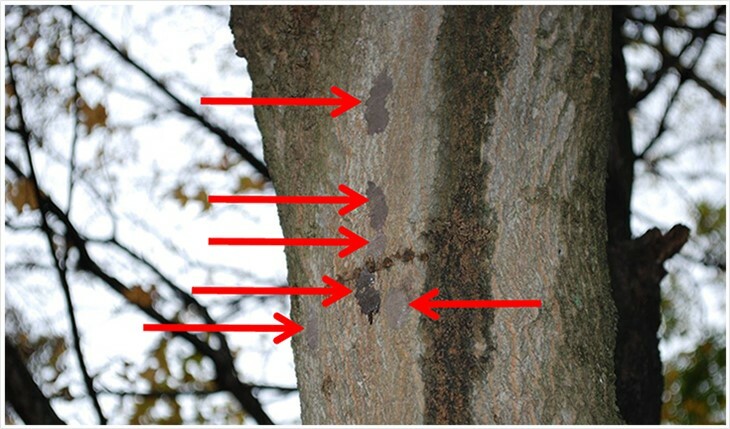 Systemic insecticides are absorbed by the tree and kill insects feeding on it. ALL insecticides must be used as directed on the label. Take the time to read the label carefully and follow the directions. This increases your safety, the safety of the environment, and the effectiveness of the insecticide. Pennsylvania law requires that pesticide labels list the site where a pesticide (such as an insecticide) may be used. In Pennsylvania, insecticide labels do not have to specifically list the targeted insect. There are insecticides labeled for use on ornamental trees and around buildings. These products are legal to use on the sites listed in order to control Spotted Lanternflies in Pennsylvania. Penn State Extension is currently testing to determine which insecticides are most effective in controlling adult spotted lanternflies. 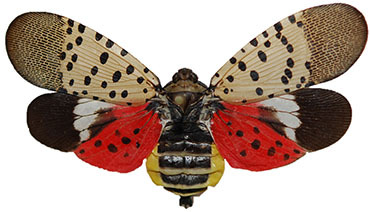 Preliminary results show insecticides with the active ingredients dinotefuran, imidacloprid, carbaryl, and bifenthrin are effective at controlling the spotted lanternfly. Neem oil and insecticidal soap provided some control, but results varied, and insects sometimes took several days to die. Examples listed below are some of the available insecticide products containing the most effective ingredients studied (dinotefuran, imidacloprid, carbaryl, and bifenthrin). WHEN USING INSECTICIDES ON EDIBLE CROPS: It is especially important to follow directions for chemical application and timing from harvest as stated on the label. The products listed above are registered for use in specific settings. Read the pesticide label and follow the directions, including application rates, methods, and appropriate protective clothing and equipment. THE LIST IS PROVIDED BASED ON CURRENT PRODUCT REGISTRATIONS. THIS IS NOT AN ENDORSEMENT OF ANY PRODUCT OR PESTICIDE PRODUCER. THIS IS NOT A COMPLETE LIST OF POSSIBLE LABELED PRODUCTS OR BRANDS. 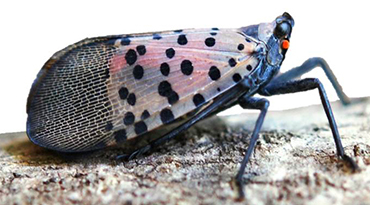 THESE INSECTICIDES HAVE NOT ALL BEEN TESTED AGAINST SPOTTED LANTERNFLY SPECIFICALLY, AND ADDITIONAL EXPERIMENTS ARE NEEDED TO DETERMINE THEIR EFFICACY. Soon, lanternfly females will lay eggs. Lanternflies are great at hiding eggs. You can find masses on trees, cars, lawn chairs, underneath picnic tables or other obscure places. Those egg masses can survive the winter, so if you see a mass, and are able, try to scrape it off. Use anything to do it, like an old credit card or even a stick. PDA says to be sure to remove all seed-like black or brown eggs from underneath its protective wax coating. Then double bag and trash the eggs, or submerge them in hand sanitizer or alcohol. Remember, if you find a spotted lanternfly outside of the quarantine area, leave a message at 1-866-253-7189 or e-mail badbug@pa.gov. Try capture the lanternfly in a vial of alcohol (to kill and preserve) or attach a photo.